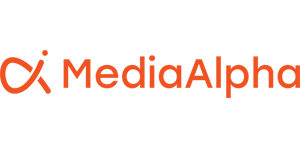 LOS ANGELES (Feb. 5, 2019) — MediaAlpha, a pioneer in programmatic advertising platforms for native search and metasearch media, and SmarterTravel, an industry leader in online travel reaching 20 million unique visitors every month, today announced an agreement for MediaAlpha to exclusively represent the comparison ad media for all SmarterTravel brands. This partnership also provides SmarterTravel advertisers with the transparency and control required to execute, measure, and optimize their media campaigns. As a result of this new partnership, all comparison media inventory appearing on sites operated by the SmarterTravel network is exclusively available for purchase through the MediaAlpha platform. “We are pleased to join forces with MediaAlpha to offer our advertising partners full transparency and granular bidding control. We believe that transparent auction marketplaces are the future of media buying. Through MediaAlpha’s technology, we’ll have visibility into how our advertisers value our different customer segments and traffic sources, giving us the data we need to focus our efforts on creating engaging editorial content and compelling customer experiences,” said Sarah Hodkinson, General Manager of SmarterTravel. Through the MediaAlpha platform, advertisers looking to reach consumers during their travel shopping experience, can now see exactly where their ads will run and how much they are paying for their specific audience segments. The MediaAlpha / SmarterTravel partnership marks a turning point for travel marketers. The long sought-after goal of executing programmatic advertising campaigns for cost per click travel media is now a reality. For more information on media inventory for SmarterTravel brands, please contact Ingrid Miller at ingrid@mediaalpha.com.